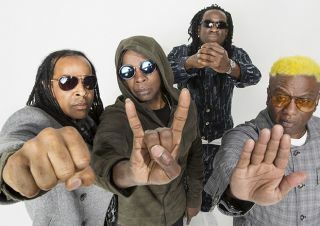 Living Colour have announced Shade In The U.S.A, a 21-date U.S. tour in support of their new studio album, Shade. BackStory Events, Guitar World, Eventide and PRS Guitars invite you to join us for the live stream of our exclusive interview with Living Colour. PRS Guitars has announced a new limited-edition model in the S2 series of U.S.-made electric guitars: The S2 VR Vela. ESP Guitars has announced the LTD Cult ’86, a tribute to the guitar that helped put Vernon and Living Colour on the map. Living Colour guitarist Vernon Reid and Cream bassist have formed a new band, Spectrum Road, and their self-titled debut album will be released June 5. Video: Living Colour Cover Robert Johnson's "Preachin' Blues"
Living Colour guitarist Vernon Reid talks about the sources of his creativity, how his personal experiences touched on his art — in short, why he plays guitar. Take your licks outside with a little bebop injection courtesy of the great Vernon Reid!